Thermal Comfort Device is a series of photographs that explores love in the age of disconnect. 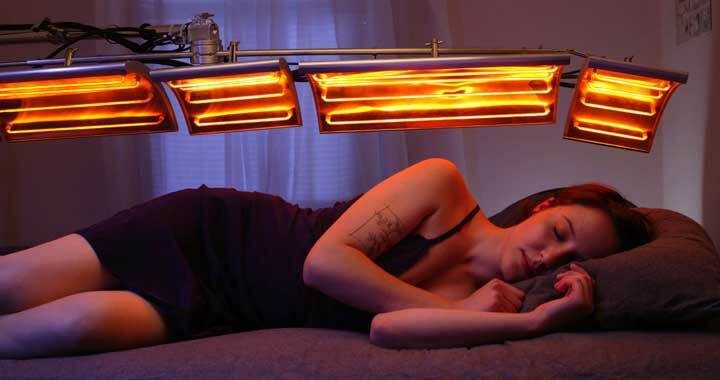 I have created a device that is designed to provide the warmth of a surrogate lover. This intensely personal space is the setting in which I photograph a variety of subjects with my device. These photographs raise questions regarding the manner in which luxury products are marketed. Similar to the images in the travel section of the newspaper of couples holding hands and kissing on the beach, these images depict relationships as a physical object towards desire. I have selected from a cross section of society - men and women of various ages and ethnicities who sleep alone - in order to reveal how contemporary culture is marked by loneliness and self-absorption. The impetus for Thermal Comfort Device is to provoke viewers into thinking about their own relationships. Roland 29, Boston based curator, artist, designer and dreamer. Jaya 33, Single mother, dreams of the desert, studies ayurveda, collects dresses & bollywood films, plays Walton’s theme song on the dulcimer.